A traffic control device can be virtually anything on the roadway. For example, you can be cited for violating this statute if you did not conform to a traffic sign or markings on the street. Technically, this statute could be used for just about all situations, i.e. speeding (violated the speed limit sign), failure to stop (violated the stop sign), ran a red light (violated the red light), etc. However, in reality, a failure to obey control device ticket is issued as a catch all statute. It is used when there is not a specific more applicable statute, i.e. the speeding statute, the red light statute, the stop sign statute. Unfortunately, normally these types of tickets are more difficult to beat because they are so easy for a prosecutor to prove. All they have to show is the sign said you cannot do X but the officer saw you doing X. Not especially complicated. 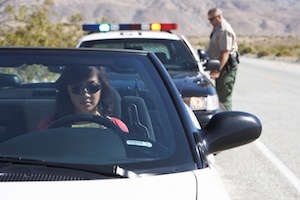 Even though these are difficult tickets, there are still quite a few tricks that an experienced traffic attorney knows which can help you to keep this ticket off of your record. Don’t give up without trying fighting for your record.